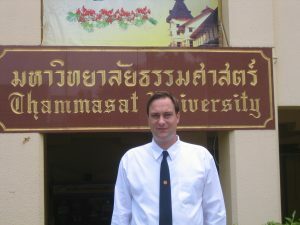 Mr. Willem van Amerongen BAS Class of 2008 BA (First Class Honours with King Bhumipol University Medal) My name is Willem van Amerongen. I am Dutch, and about to complete a Master’s degree in English Studies and Language at the University of Nijmegen in the Netherlands. 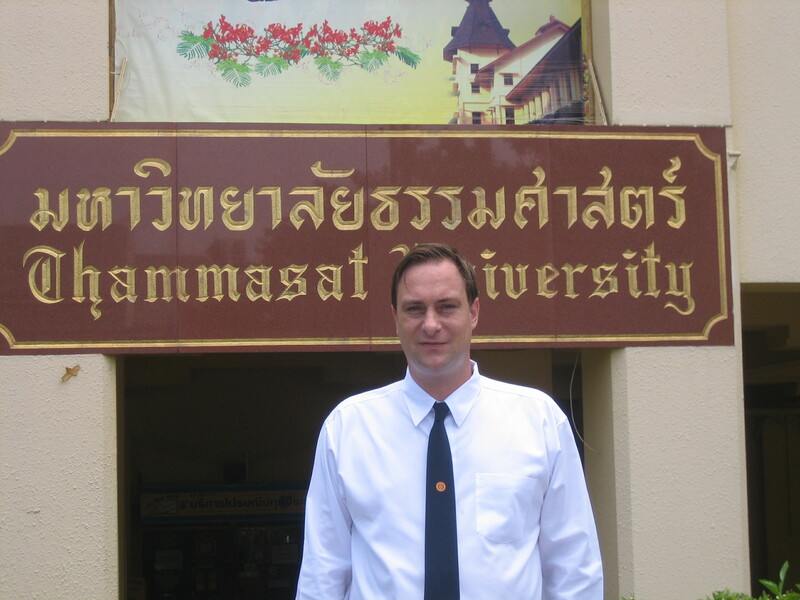 Before I embarked on my MA, I studied on the BAS International Programme between 2004-2008. While being a student at BAS, I was time and again overwhelmed by the incredibly rich visual landscape surrounding Thammasat University’s Tha Prachan campus. I visited golden temples, conversed with monks in orange robes, and tried the outstanding variety of local cuisine in and around the Liberal Arts building. When reading my study books in the BAS canteen, the ballet of long-tail boats zipping down the mighty Chao Phraya River provided me with a breathtaking site.Confucius once mentioned: “Study the past if you would define the future”, and that is what I did. Modules on history, culture, art, politics and literature are all available at the BAS The programme provided me with an excellent grounding, and this has been of great advantage to me over the duration of my graduate study in the Netherlands. I expect to gain a First Class Honour’s in my Master’s degree, and for this reason, I would like to take the opportunity of thanking the instructors on the BAS programme for greatly broadening my knowledge and understanding of the underlying cultural and historical dynamics of both the United States and Britain.The BAS lecturers were clearly devoted to elevating the academic levels of the students. Even during lunch breaks on the pavilion in front of the Liberal Arts building, next to Thammasat University’s famous Banyan Tree, professors could be spotted instructing BAS students.Ultimately being able to learn on the BAS programme was a truly enlightening experience, which enriched my life and helped me to develop my intellectual ability.